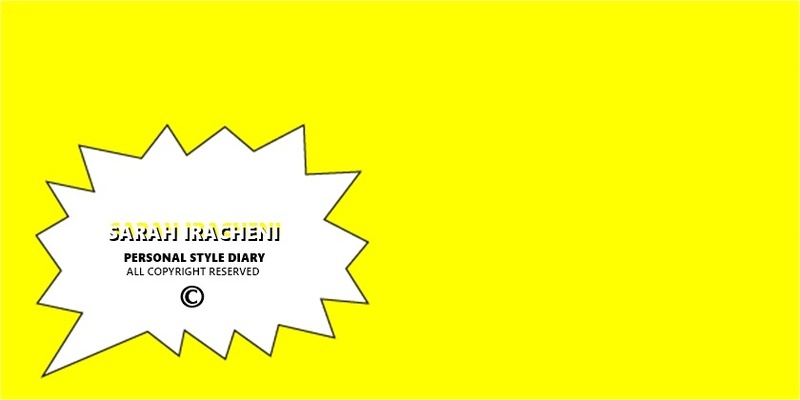 This is a personal style diary founded by 21 year old, Sarah Iracheni. The blog was originally created as a space for her, where she mainly shared her take on minimalism in the world of fashion, back in 2013. Through the years the blog has turned into a personal style “diary” combined with the minimal lifestyle she is inspired by. She appreciates the beauty of simplicity and lives by the quote “less is more”. Making the blog more personal through the years, has given her the opportunity to feature wider content. Everything from daily outfit posts, mood boards, non-fashion related posts, beauty tips, motivating thoughts, how to style certain colors/patterns, recommendations, reviews of the coolest fashion shows/brands to the wildest and chicest interior ideas.